A survey of reefs off north Queensland has found an increase in the amount of coral despite the recent bleaching event on the Great Barrier Reef. Scientists from Australian Institute of Marine Science (AIMS) examined 12 reefs off the Townsville coast, between Northern Hinchinbrook and Cape Bowling Green. 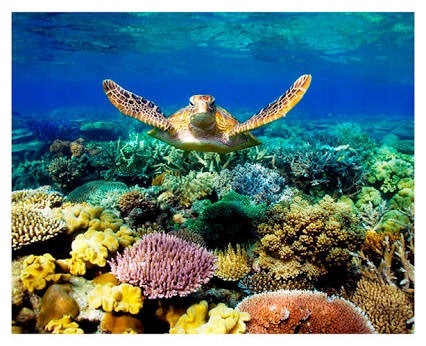 AIMS found 11 reefs had continued to recover since being damaged by Cyclone Yasi in 2011. Scientists also found coral cover on seven of the reefs were at its highest levels since they were first surveyed 30 years ago.